Sandra Kaye: Oldies but Goodies!! I have a new friend named Cindy. 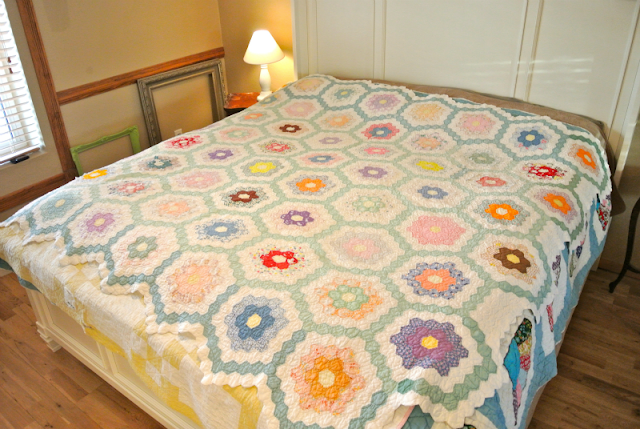 She has graciously given me several older quilts that she didn't want any more!! I was sooo excited to receive them. Here is the first one. It is huge..this is a king size bed. All hand done. It has a couple of holes. But I plan on folding them up and putting them under glass...so you won't see the holes. This pink one is just yummy!!! All hand done..and no blemishes...just beautiful. Another simple pattern...a few holes...but still lovely!! This quilt I bought for 25 bucks at an antique store. All hand done. There is some wear and tear...but all that work....you know how many hours this took?? Yeah..I love it any way. Here you can see the wear. But, I don't care...It is just lovely to me. WOW, aren't you the lucky one! What a wonderful gift! i don't mind the flaws? 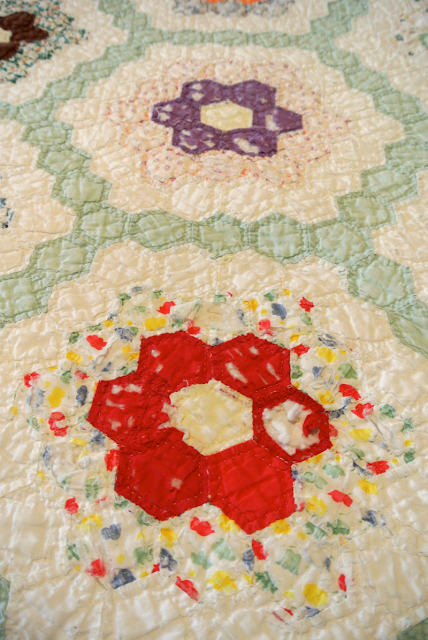 in old quilts. it can always be worked around, especially when it's hand work. good friend you have there. What lovely treasures you now have in your care! 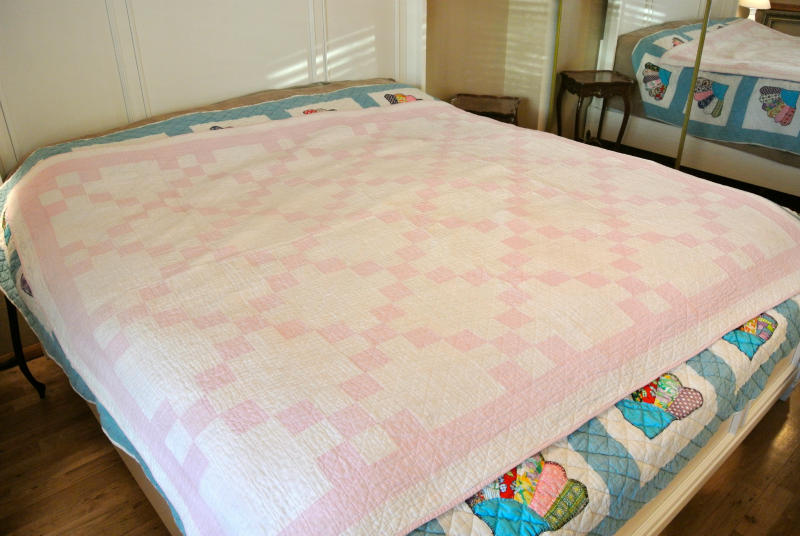 I think the blemishes just add character after all, quilts were made to be used. 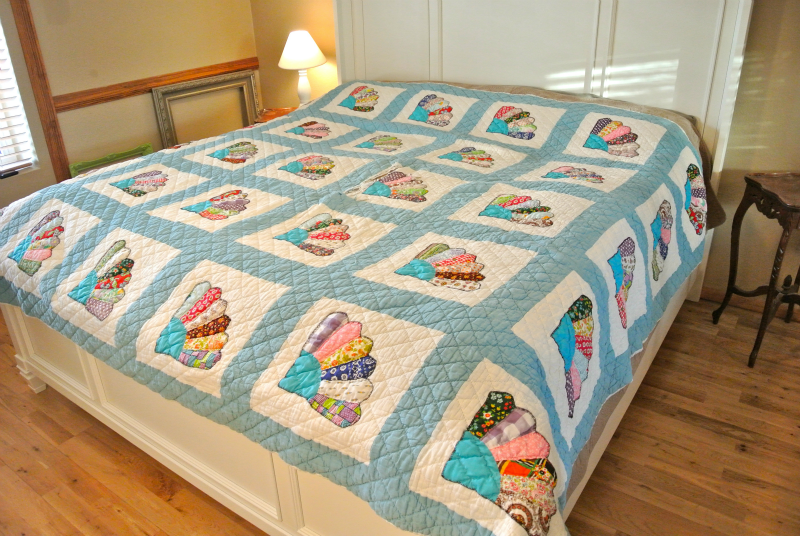 Oh my...wonderful quilts to a wonderful gal! I'm sure those quilts will love their new home. Your friend is a keeper! 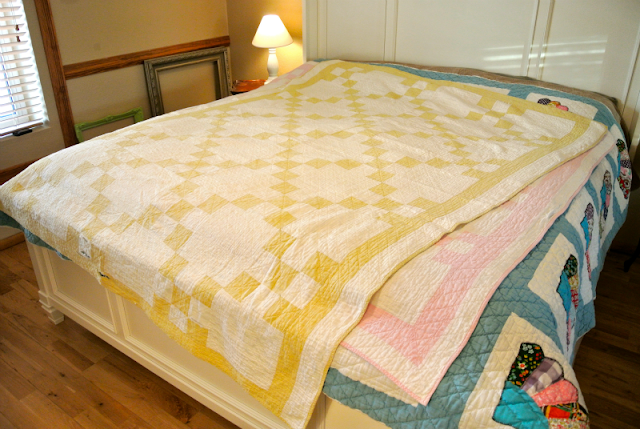 i'm hoping the quilties swappers will see this. Thank you! to Carloyn, Marlynne, Tove and Laura for the beautiful quilties. Laura, yours was a beautiful extra and the handmade charm! What a great surprise and gift! happy swapping everyone. Making My New Tape Stand! !